A Good MIL AM I … or AM I? We arrived in Washington, DC the day before Thanksgiving. Our son & his wife were scheduled to work that day. Did we ask them to take a day off? No. We assumed they would work and so we planned visits with aunt, uncle & cousins in the area. We had even packed two bottles of “award-winning” red wine in our checked baggage, hoping that they would not color our clothing mid-flight. Gotta show up with a hostess gift! Did we assume our son & DIL would pick us up at the airport? No. 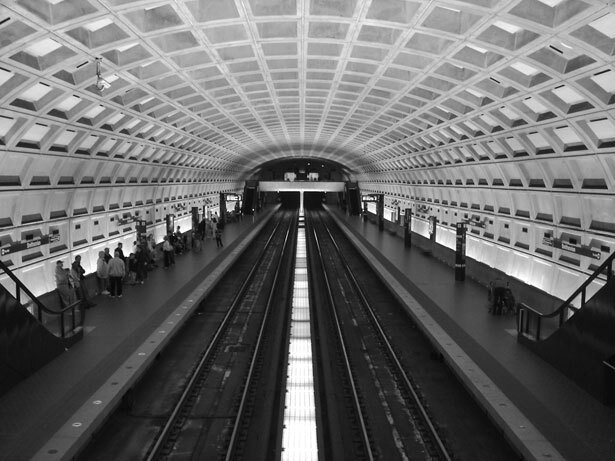 We assumed responsibility for our own travel and took the Metro all over the nation’s capital. We love public transportation! It let’s you put your finger on the pulse of a city. Did we complain about sleeping in a double bed when we are accustomed to a king-sized one? No. We were so happy to be together with sons & DILS on such a festive occasion. When we listened to conversations about babies as the two DILS ribbed each other about who would be pregnant first, did I press for grandchildren? No. I respect their rights to make those very personal choices for themselves and don’t put any pressure on them. We never bring up the subject as we didn’t appreciate it when others did it to us so many years ago. We joined in planned activities, offered to help cook, cleaned up after meals, washing dishes & stacking the dishwasher. I didn’t tell people how to cook or carve the turkey, what side dishes we always eat at this holiday meal. I stood in the cold,cheering our son and our two DILS at three different spots on the course as they ran the traditional Turkey Trot Race. We were considerate about bathroom time, complimented hairstyles, outfits, meals and how our son & DIL had continued to decorate & furnish their home. We fixed our own breakfasts & lunches – not expecting to be waited upon; bought cheesecake for everyone’s sweet tooth on Friday night; got out of the house and went for walks, went out sightseeing to leave the four “kids” to themselves for periods of time; entertained the cat when he was frisky. On Sunday we left early, deciding to go visit Arlington National Cemetery and afford our hosts a half-day rest before having to gear up for work the next day. Did we take the Metro? Yes, we did. Gladly. What a nice time with family. We consider ourselves blessed. All this to say – I think I’m a pretty good MIL. I was considerate, careful, complimentary, helpful, discrete, thoughtful, interested, pleasant & loving. I did everything right! Okay, so maybe I didn’t do everything right 😉 but I did a lot of things right, don’t you think?